FOLLOW DREAM GIVEAWAY FOR MORE OFFERS! When it’s time to take your Silverado and Camaro on the road together, there’s no easier way than a new 2018 Sundowner Aluminum Car Hauler. Designed with classic cars like the grand-prize Camaro in mind, the Sundowner Aluminum Car Hauler is 19-feet long and features lightweight aluminum construction, sturdy 3-foot nose guard, and 8-foot-long retractable ramps. The 2018 Sundowner Aluminum Car Hauler is the easiest-to-use car hauler on the market today. Showcase and deliver automobiles safely with the Sundowner all-aluminum 19’ Open Car Hauler. Both versatile and durable, it features interlocking aluminum plank floor, polished extruded bottom rail and comes with LED lights, electric brakes and torsion axles. It’s the perfect blend for looks and quality features. We will fly one lucky winner to Clearwater, Florida, to accept the 1969 Chevrolet Camaro, the 2019 Chevrolet Silverado, the Sundowner car hauler and $30,000 for taxes. Enter now. 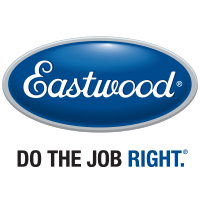 Since 1978, Eastwood has been the DIY Automotive Enthusiast’s go-to source for tools, supplies, paints and know-how. In addition to products, Eastwood offers free technical support via telephone, chat and email, plus through its free YouTube channel that features 2,000 videos – everything from MIG and TIG welding, to painting a car and how to chop a top.